My craft projects tend to come in waves. I find a great idea and love creating variations on it. 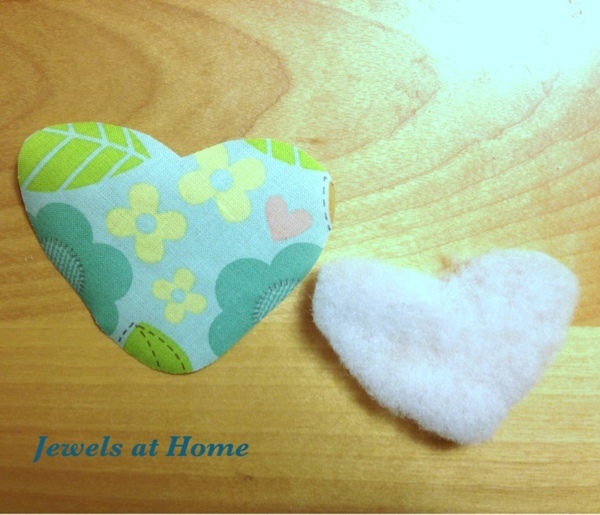 At the moment, this idea is fabric appliques for kids’ clothes. 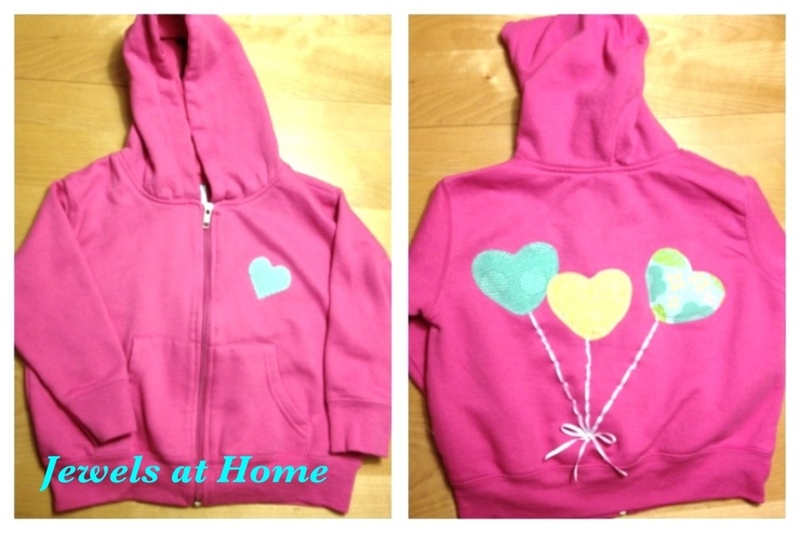 I made tie t-shirts for the boys, co-hosted a onesie decorating party for my friend Nicola, and most recently, I decorated this cute hoodie sweatshirt for our neighbor across the street, who is turning 3! 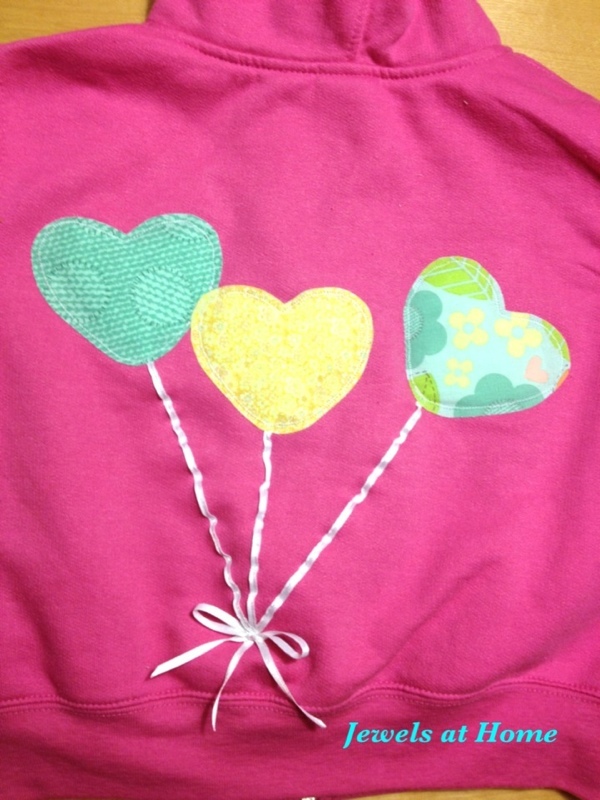 3-D balloon applique on a sweatshirt. 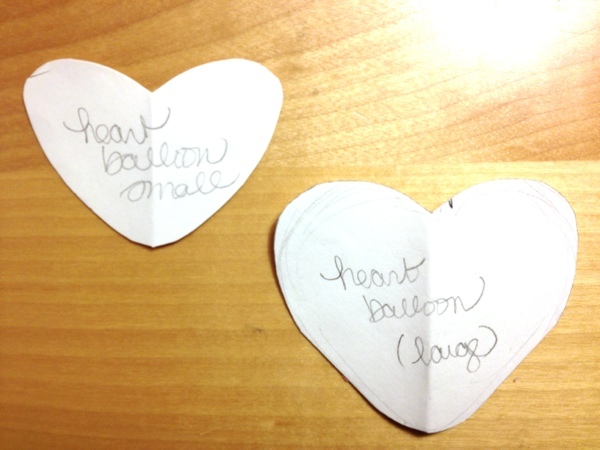 Draw your shape in two sizes – one the size of the finished piece and one about 1/4″ smaller all around, as shown below. Following the instructions detailed for the tie t-shirts and onesie decorating party, create a large shape with the fusible applique material on the back and cut the small shape out of batting. The batting will flatten out when you iron it down, so use enough to make it a little thicker than you want your finished shape. 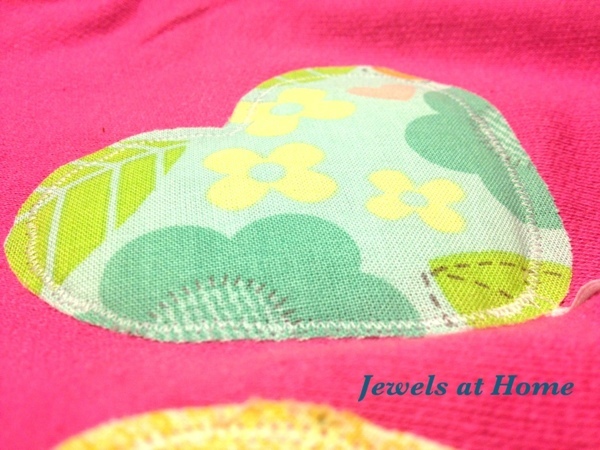 Place your applique on the shirt, first the batting and then the fabric centered on top. I also tucked some ribbon under the fabric, to make the string for the balloon. Place the batting on your shirt, and layer the fabric on top. 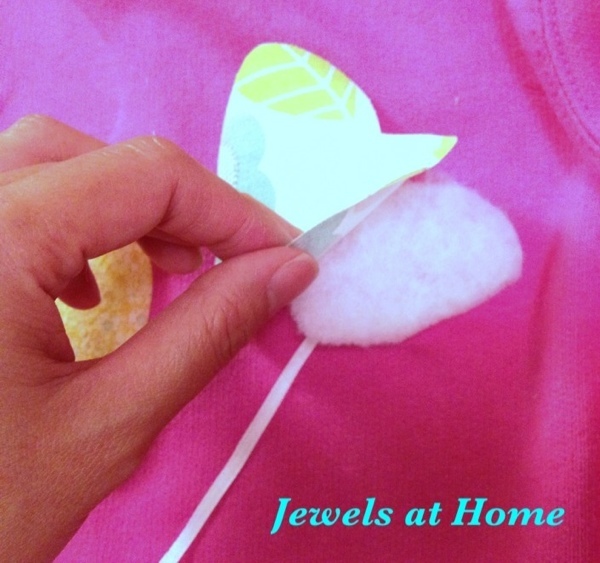 Iron and sew your applique in place according to the instructions for the tie t-shirts and onesie decorating party. I also sewed down the ribbons and tied a bow, which I also sewed in the center. I left the loops of the bow and the bottom of the ribbons free. My balloons didn’t turn out as puffy as I had envisioned, since they got flattened when they were ironed down, so I would use thicker batting next time. I’ve got a few more applique projects to finish up, and then I need to move on to something else!